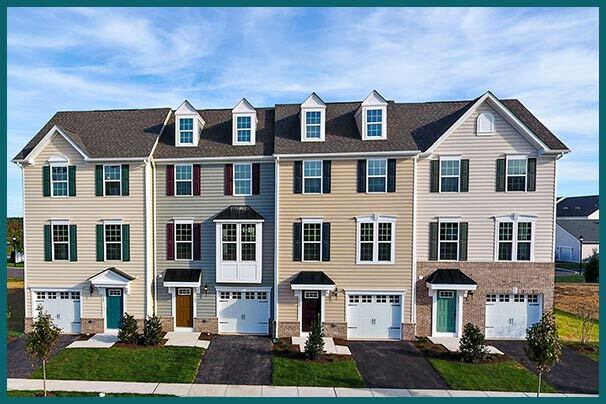 Welcome home to Pepper Farm Towns by Ryan Homes, where we offer the lowest priced 3 bedroom, 2 bath, 1 car garage townhomes in Woolwich Township. Choose from three unique, open, light-filled home designs with up to 4 bedrooms and up to 2,290 square feet of living space. Each home is built with the layouts, appliances, technology and materials suited to how you live today, including 9’ ceilings on the first floor, a finished recreation room, granite kitchen countertops and stainless steel appliances. You will choose your own colors, finishes and fixtures, and your home will be truly yours from day one. And as if that isn’t enough, you’ll also appreciate all of the energy efficiency features your new home has to offer. In addition to loving this beautiful home, you will love living a low maintenance life-style, so you can enjoy your time doing the things that matter most. Don’t worry about mowing and all of the yard work. Our HOA includes front and back yard mowing and up-keep of all common areas to keep the community beautiful. Please stop by today to see what all of the excitement is about!